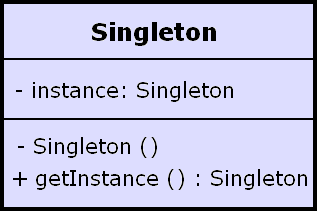 In software engineering, the singleton pattern is a design pattern that restricts the instantiation of a class to one object. This is useful when exactly one object is needed to coordinate actions across the system. The concept is sometimes generalized to systems that operate more efficiently when only one object exists, or that restrict the instantiation to a certain number of objects. Window managers, print spoolers, and filesystems are prototypical examples. Typically, those types of objects — known as singletons — are accessed by disparate objects throughout a software system, and therefore require a global point of access. The Singleton design pattern addresses all of the above concerns. How to iterate through Java List? 4 way to iterate through loop? Here is a singleton design pattern example. It is clear from the example that the traditional approach is not thread-safe, as it’s possible that before a thread creates the Singleton instance, another thread proceeds to the instantiation part of the code (i.e. instance = new Object();), because the condition instance == null is still true. Through this approach we provide the necessary thread-safety, as the Singleton instance is created at class-load time. Any subsequent calls to the getInstance() method will return the already created instance. Furthermore, the implementation is optimized as we’ve eliminated the need for checking the value of the Singleton instance, i.e. instance == null. How to Create Singleton QUEUE Global Object – FIFO (First in First Out) in Java?